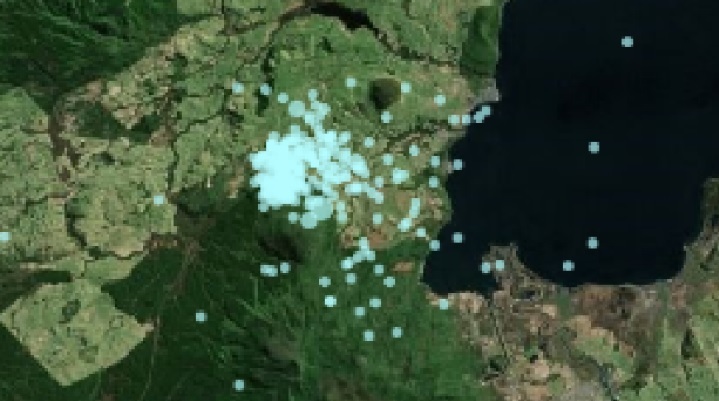 New Zealand:Mega Swarm 300 earthquakes rattles the Taupo Volcanic Zone – Coercion Code – "Dark Times are upon us"
A swarm of hundreds of small earthquakes hit northwest of Turangi, New Zealand. 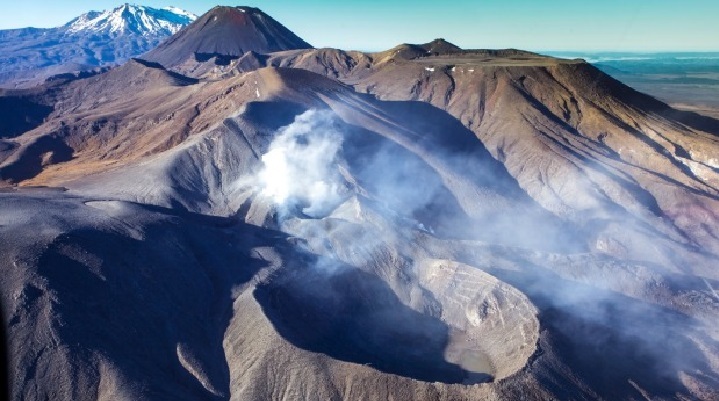 The mega quake sequence is likely related to the quentching of the Taupo Volcanic Zone. Now is it related to volcanic activity? Between 6pm on February 13 and 9.30am on Wednesday, more than 290 events were recorded. The largest was a 3.8 magnitude quake at 9.35pm on February 21, 2017. The swarm had three phases. By 9.30am Wednesday about 200 events had been located in the third phase, which started Tuesday evening around 5pm and included the four largest of the swarm (M3.0, 3.4, 3.6 and 3.8). But as the earthquakes are quite shallow they feel stronger than the magnitudes indicate. It’s pretty much par for the course… earthquakes in volcanic zones tend to come in pulses like this. The quakes are likely to be related to the long term tectonic stretching of the Taupo Volcanic Zone. Currently, there are no indications that the earthquakes are related to volcanic activity, being located well away from the active volcanoes. The zone is a rifting area, growing wider by 6-9mm a year. Stretching is due to the location of New Zealand across the plate boundary. As the plate is subducted you get rotation of East Cape. It pulls East Cape away from the rest of the North Island. Larger damaging earthquakes did happen in the zone. The last significant one was the M6.5 Edgecumbe event in 1987. In the past year in total about 500 quakes had been recorded in the area, with a total of about 800 in the past two years. So more than half just occurred with 24 hours! There is something big going on there!